WE USE AROMATHERAPY ESSENTIAL OILS, HOT STONES AND WARM BAMBOO TO BALANCE THE PHYSICAL, SPIRITUAL AND EMOTIONAL HEALTH. Aromatherapy is the use of Essential Oils to balance the physical, spiritual and emotional health. Oils are massaged into the skin to promote healing. Aromatherapy treats many conditions of the body and emotions. Some of the conditions that can be treated are as follows: •	Grief •	Eating Disorders •	Hormone Imbalance •	Depression •	Anxiety and Stress •	Anger and Fear •	Insomnia •	Physical Fatigue •	Headaches •	Muscular Aches and Pains •	Repetitive Strain •	Arthritis •	Skin Imbalance •	Appetite Imbalance. You can feel those aches and pains melt away with a Hot Stone Massage Therapy. Hot Stones have been used in massage for many centuries. Luxurious deep relaxation can be experienced with the Hot Stone Massage Therapy at Ellie's in The Round House in Melksham. A memory foam, warmed couch awaits you in the round house as your treatment is enhanced with aromatic aromas, harmonious music and light changing mood lighting which enhance this already holistic treatment. A full consultation is undertaken before commencing the treatment. Hot Stone Placements also available. Warm Bamboo Massage is a deeply relaxing therapy that uses Warm Bamboo sticks of varying lengths to massage the body in a specific way to bring a feeling of blissful relaxation. Apart from the fact that it feels divine, the Bamboo Massage can also relieve deep muscular tension. Thought to have originated from Asia this treatment is fairly new to the UK, but is rapidly growing due to its positive effects partly due to the warm elements of the treatment that help melt away aches and pains. 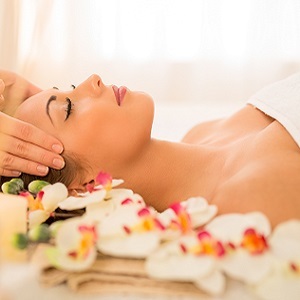 Would you like a massage using a variety of pressure and techniques, including circular massage strokes on your scalp shoulders, and neck? An Indian Head Massage could be the relaxing treatment you are looking for. Would you like to feel pampered despite having cancer? Feel yourself relax on a heated, memory foam couch in the historic Round House in Melksham at Ellie's. The Oncology Massage technique is a very light massage and a full consultation will be undertaken to put together a plan of your personal requirements. Your massage can also be enhanced with Sound Healing if required. Call for a chat to find out more or book online. Treat yourself to a deeply relaxing private sound bath at Ellie's Natural Health. You can then feel yourself melt into sonic bliss with the healing high frequency fusion of the Planet Gongs, Tuning Forks, Crystal Bowls, Singing Bowls and other wonderful instruments releasing endorphins and contributing to cellular regeneration. Your beliefs control a range of various parts of your life from you health and well being, your finances and wealth right through to your love life. They can influence your everyday life and your ability to fail or succeed. The Postive Vibes Mindfulness Session allows you to clear limiting beliefs in your subconscious and integrate new life empowering beliefs. Are you pregnant but still wish to have a massage then Tessa is with us on a Tues and Thurs morning. Refleloxoy is a form of massage applied to the pressure points on the feet. This treatment is availabe with Tessa at the moment on a Tues and Thurs morning. Price Match - If you find like for like massage treatments in Melksham that you feel are better value for money then contact us to see if we can Price Match for you! Medical permission must be sought before treating certain conditions such as recent operations (within 3 - 6 months depending on type of surgery) or if you are awaiting for surgery for a serious condition, Diabetes, Thrombosis or Recent Haemorrhage, Epilepsy, Recent Head or Neck Injury, ME, Heart Problems or High or Low Blood Pressure. Also treatment cannot be carried out if you have a skin or scalp infection such as ringworm, scabies, lice, if you a pregnant, feeling unwell or have a temperature or headache. Please call to cancel your appointment if you feel unwell or have a headache on the day of your appointment and we will reschedule. Ready to take the next step to feeling better? Contact us today! We will work with you to create a treatement plan that’s tailored to your needs and preferences. FREE consultations and ongoing support available. We will help you to become deeply relaxed so that you can feel the benefits that this brings into your life. Mix And Match Therapies. You can have more than one massage therapy in your treatment and you decide which areas you would like to be treated. I had a good night's sleep last night after having a massage yesterday. I would recommend Lorraine, I felt so relaxed. Lorraine was very knowledgeable as to the oils to use for my aches and pains. Very relaxing massage, can’t wait to book in for another one. Wasn’t sure what the candle massage would be like but made my skin feel so smooth. Would definitely recommend Ellies, had a wonderful aromatherapy treatment with hot stones. The Roundhouse is a lovely quirky building. Lorraine is an excellent therapist & makes you feel really welcome & relaxed. I had candle massage therapy with Lorraine last Thursday and I can’t recommend her enough! She’s a lovely lady who makes you feel immediately at ease. The massage was so warm and relaxing and has definitely helped my bad back. I slept so well the night after too! Had a lovely massage yesterday from Lorraine. Lovely room, very relaxing, a new experience for me and hopefully will repeat again soon. Skin felt very soft and helped ease my tension in my shoulder muscle. ?My first experience of an aromatherapy and hot stones massage, it was wonderful. It left me feeling very relaxed. The session takes place in the Round House which is warm and cosy and Lorraine begins by asking about your health and taking a medical history then she mixes oils that will be beneficial to you. Lorraine is friendly and easy to talk to and answers any questions. I’ll be booking further sessions and I highly recommend trying at least a taster session. Recommend 5 people. On completion of their treatments you will receive a free treatment. Do you want to keep your staff relaxed and happy so they can reach their full potential. We can offer Melksham based companies discounts for their staff members. Contact us on 01225 571010 to discuss. Click here to find out all of our latest news on our blog. The Round House, 25 Church Street, Melksham, Wiltshire, SN12 6LS. We do not offer a walk in service and in most instances require 24 hours notice.